Recent review: Fun night! All my guests had a great time! Are you hoping that you can team up with Leo DiCaprio to incept someone's dreams? Think you can hop into the dreams of that cute guy that works across from you in accounting and plant the idea to ask you on a date? Well... we don't think that any of these psychic entertainers know how to perform inception, but they WILL be able to tell you if that cute guy will ever ask you out. They’ll also wow all of your guests with palm reading, tarot cards, mind reading, and anything else tricky to predict the future. 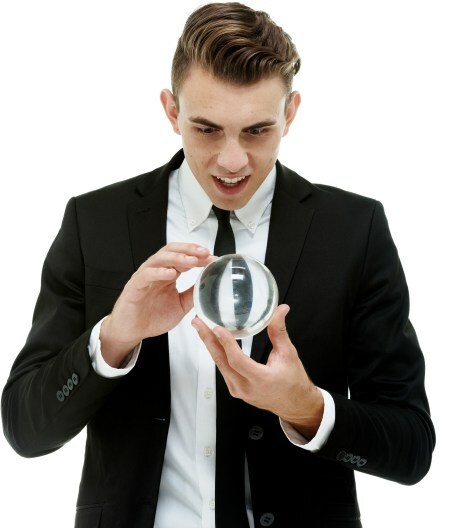 Search for Psychic Entertainment in Florissant, Missouri above. Please note that these Psychic Entertainment may also travel to Black Jack, Berkeley, Kinloch, Ferguson, Dellwood, Edmundson, Cool Valley, St Ann, Breckenridge Hills, Bellerive, Normandy, Spanish Lake, West Alton, Earth City, Jennings, Sycamore Hills, Overland, Riverview, Hanley Hills, Portage Des Sioux, St Charles, Pagedale, Olivette, Elsah, Creve Coeur, Clayton, Ladue, Richmond Heights, Frontenac, and Brentwood.